Now that George Zimmerman has been arrested, I guess we will start to see those opposed to a conviction begin to emerge. This is a rhetorical question but worthy of asking. Does anyone remember the feeling the world had on 9/11? Remember the senators were all praying and singing together on the senate floor no less? How would you say they’re getting along now? How would you say the emotional state of the country is now about 9/11. Let’s just say it’s a little different than it was then…. the emotions are gone. One thing I noticed in this case is that when people come together for a common goal things happen. However, I believe the larger message in this is lost to the ‘sin’sationalism of the story. The media is only able to stay relevant as long as they are able to excite emotions. There is actually more good news to report than bad, unfortunately, good news doesn’t touch us the way that bad news does that’s why there’s so little of it reported. So, what happens now that Mr. Zimmerman has been arrested? The bus loads of people will go back to their everyday lives with stories to tell their friends and relatives of how they are involved (all well and fine), but, how many of them will go back and rally in their own neighborhoods for better education! What about rallying for after school or community programs to keep kids in hoodies from perpetuating this negative stereo type. Or what about a rally against racial profiling instead of sitting back joining the fray of pointing fingers at ‘the others’. Travon wasn’t just a victim of George Zimmerman, he was a victim of years of a society ignorant of looking inside First to solve problems. Everything that we see is only the result or display of what’s going on internally. Seriously, are there crimes committed by individuals wearing hoodies? 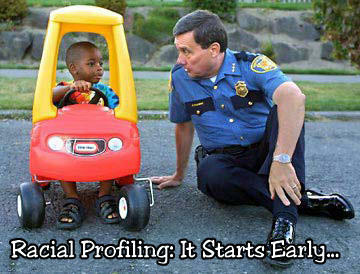 Does racial profiling take place? Yes and yes! 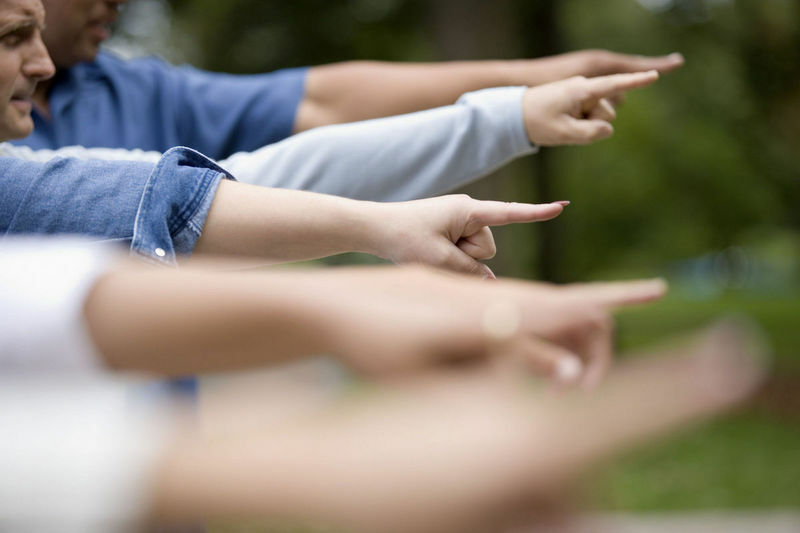 So, let’s stop pretending that our kid is not the bad one. Let’s address these issues from a how can ‘I’ change position as opposed to how can I change the other person/people. In the earlier post I discussed how easily one can get caught up in sudden rage and instantly become a victim of the very evil that caused that rage in the first place. This post is to bring to light how suggestibility caused this and how its now shaping the emotional environment of argument. As the nation rallies around the Martin family and the shouts for justice grow ever louder, when this is all over two lives will have been ruined and millions more will have been affected by them. Some believe Mr. Zimmerman should be locked away, others believe he was justified in the shooting and should remain free. After an impromptu pat down to make sure we weren’t carrying any weapons he returned to his car and followed us all the way into the parking lot of the school and didn’t leave until we were inside. That made for an interesting rest of the day. Who was I going to tell of this harassment; my teacher, the principle, other cops? 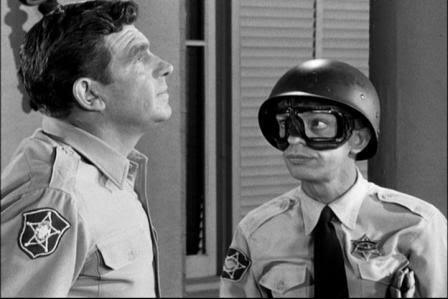 Now, from that point I began to hate all cops, especially white ones. Becoming a victim of an institution that was designed to protect you it’s akin to a child being molested by a trusted family member. As you can see this ordeal stirred up negative feelings within me and I applied the feelings of what one police officer did to all police officers. In the end it’s really just a primitive self-defense mechanism. Remember, when your emotions are at their highest is when you’re at your most suggestive state. So in both of these adventures, my mind labeled these people as threats and subconsciously prepared a defense plan if I were to ever face the same events again. This is how suggestibility killed Trayvon and so many other innocent profile ‘fitters’. At the core of it all is lack of emotional control. I guarantee you that if he could replay that day over again he would decide that his emotions were getting the best of him and he’d let the cops handle it. It’s always ‘after’ the fact that we can see things so clearly…why is that? It’s because the emotions are no longer present and you can now see what was there all along. I hate emotions! (ha) They are liars, omnipresent deceivers of men/women that we can’t live without, we can only hope to modify them in some meaningful way. Now that I’m older, I’ve let go of most of the injustices I’ve encountered in the past, I’ve even stopped racially profiling people wearing sagging pants and started profiling everyone! lol!!….seriously. I don’t hate the police or white people, instead I’ve learned to focus my energy on changing the way I see things by looking past how I ‘feel’ about them and helping others to do the same. One final note… if young ‘men’ stopped committing crimes wearing hoodies, there wouldn’t be a fear of someone wearing one and if people realized that good and bad lives in us all, there’d be less ‘racial’ profiling and more of and effort to promote the good in those same people. It was everyone that came before us that shaped the mind-set of the world today, it is now up to us to make the world what it’ll be for our children tomorrow. 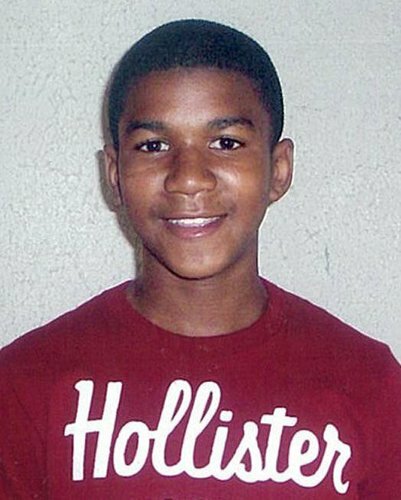 By now most of us have heard of the tragic story of Trayvon Martin, the young man killed in Florida by the community HOA head George Zimmerman. Only Trayvon and George really know what actually happened that day and unfortunately Trayvon is not here to tell his side of the story. However, I believe if we look at this incident a bit more closely, we’ll clearly see that what happened that day could happen to any of one of us. The day after Christmas five years ago, I woke and walked outside to warm the car for the trip back home. As I approached my car I noticed my back window completely down. As I got closer I noticed that the window wasn’t down, it was broken. My heart sank into my stomach. Someone had broken into my car and completely cleaned it out. I began trying to recall all that I’d packed the car with the night before. radio, the gifts, laptops, cameras, it was all gone, but more importantly they took away my sense of security. Immediately, my mind created an image of the culprits as I tried to ‘telepathically’ track them down. One of them had cut himself while climbing through the broken window, so blood dripped throughout the beige interior. Once the police arrived on the scene they were of absolutely no help. I pointed out a huge complete hand print on the driver’s side window where the perp held on for leverage to pry open the back one. “Well we don’t fingerprint for crimes like this it costs us too much, ya know?” He says while chuckling. He then advised that I do my own investigation and let them know if I come up with anything…………. really? “Ok, so how do I go about getting my things back?” I asked. “Well, he says, let me see…he pauses to check his computer, yes, it looks like we’ve already released them so here’s their home number and their address. Go there and tell them that you know that they have your stuff and if they don’t give it back that you’re going to call the police…………………………..I swear to you that’s what they said. After doing a little research myself I did eventually find out what the perps looked like. I immediately remembered the image that I’d created in my mind of the perpetrators and it matched. Why? Why did the image of what I thought the perp would look like actually match what he looked like? From that day any black man with dreads and sagging pants walking near my car was a potential criminal. I began to racially profile and even carry my piece with me. I was hoping to catch someone else breaking into my car so I could unload my fury on them and to make matters worse, I’m black. If you’ve ever been robbed of anything, you know the feeling that I speak of. The feeling of being invaded or violated can never be unfelt or gotten over. It rests dormant, patiently waiting to be vindicated by anyone who dares to pass in front of its crosshairs. One report spoke on how there were a number breakins in the community where Trayvon was killed and Mr. Zimmerman was supposedly tired of no one being held responsible for them. Now I’m not sure if Mr. Zimmerman was a victim in those robberies or not, but if he were, I’m pretty sure that his emotions were at the helm during the time this occurred. I wrote about my story to show how easy it is to allow things that have happened to us in the past to affect our present and ultimately our future. As I said in the beginning there are always two sides to any story and this was only one side. In part two I will discuss how it feels to be racially profiled and acted upon forcefully as a result of it.